Is it a bird? Is it a plane? Is it a sign that we’re all about to die? Well, I can’t speak to that last one, but I can say that this video shows a meteor scorching across the sky while it passes behind an erupting volcano. And I can’t think of a more metal way to close out 2016. 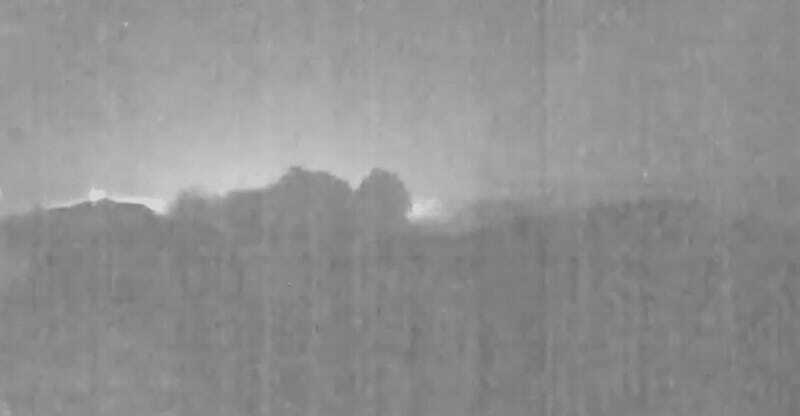 The meteor was captured by a camera that keeps an eye on the Turrialba volcano in Costa Rica, which just so happens to be erupting at the moment. In fact, the volcano has been sporadically making an ashy mess since September. The entire video is just six seconds long, but it’s pretty damn cool. Eric Sanchez, from the San José Planetarium at the University of Costa Rica told the news outlet Q Costa Rica that this sighting was first for the camera, which has been operating at the Volcanological and Seismological Observatory since 2011. Passing about three miles above Earth, some who saw the flash in the area on Wednesday night around 10:25pm believed that it might be a UFO. But we’re not that lucky. Like it or not, we’re going to have to walk into the year 2017 with nary an alien in sight. And if the aliens do show up, let’s just hope they don’t ask to see our leader. Let’s just say that President-elect Donald Trump doesn’t strike me as the inspiring Bill Pullman type.